China has detained nine people in connection with a deadly construction site accident in east China that left 74 people dead and two injured. The men died Nov. 24 when a platform at a power plant cooling tower under construction in Fengcheng City in Jiangxi Province collapsed. State news agency Xinhua reported police as saying Monday that among those detained were the chairman of Hebei Yineng Tower Engineering Co. Ltd., and the chief engineer of the construction project. The victims of the incident were aged between 23 and 53 years old. Dozens of people die in workplace accidents in China each year, raising questions about lax safety regulations in the country. In July, eight people died after a construction elevator fell from the 18th floor of an apartment in eastern Shandong province. 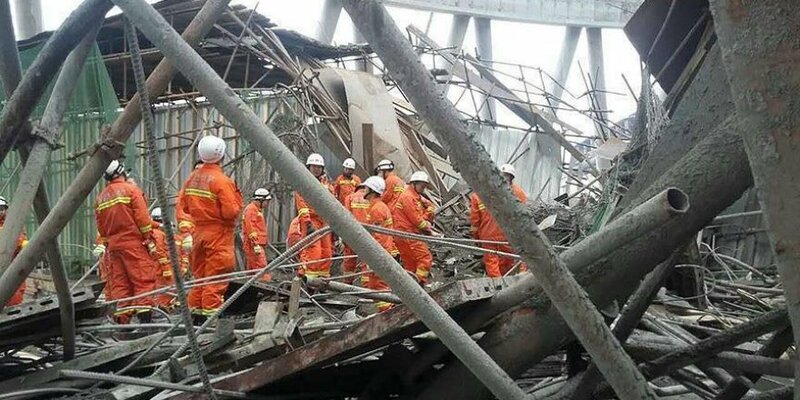 In late May, at least one plant worker and a firefighter were killed and 18 others injured after an explosion rocked a battery storehouse in eastern Jiangsu province -- an industrial hub.